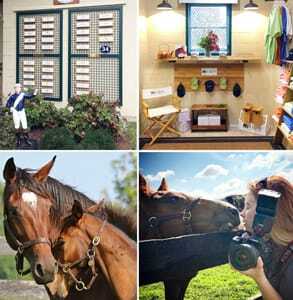 The Short Version: Located in the heart of horse country, Lexington, Kentucky, offers a calm respite from big-city life. The charming college town is proud of its local attractions, including a world-famous horse racing facility and a nationally syndicated bluegrass show. Whether you enjoy farm fresh meals or mind-bending shows, Lexington has a little something for everyone, and daters don’t have to spend a lot of money to have a great time together. Couples can take in a show, tour a distillery, visit a farm, or sit down at a locally owned restaurant to spend a relaxing evening in the date-friendly city. Many locals think of Lexington as the front porch of the South because it’s a welcoming place to listen to bluegrass music, savor a glass of bourbon, and enjoy other activities rooted in Southern tradition and American values. When I come home to visit my parents for a weekend, one of the first things I ask is, “What do we have to watch together?” They keep a lengthy DVR list of old and new shows to watch as a family. Once we’ve dispensed with our must-watch list, my dad will invariably try to get hold of the remote and put on a country-bluegrass music show called “WoodSongs” before anyone can object. Hosted by folk singer Michael Johnathon, “WoodSongs” showcases the musical talents of singers, fiddlers, cellists, and folk bands in an old-time radio show broadcasted on TV from Lexington, Kentucky. The show reminds my dad of his parents’ bluegrass roots, and he’s awed by many of the performances. Sometimes he’ll get out his own guitar and strum along to his favorite songs, trying to replicate the complex chord progressions. Lexington’s “WoodSongs” gives its stage to many contemporary and old-school bluegrass musicians. My dad would love the chance to go to a “WoodSongs” show in person and listen to the twangy tunes live. That’s a musical treat many Lexington residents take advantage of on Monday nights. 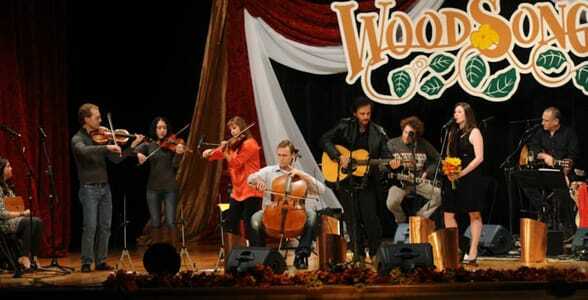 “WoodSongs” hosts about 40 live shows a year at the Lyric Theater in Lexington. Admission is free, and hundreds of locals attend regularly. The talent lineup changes every week, but the performances always celebrate the grassroots music of the American South. Niki Heichelbech-Goldey, the Director of Communications at Lexington, told us she and her husband often make a date night of going to a “WoodSongs” show and eating out at a restaurant afterward. Lexington is widely considered the horse capital of the world because of its large concentration of horse ranches, thoroughbred racing facilities, and other equestrian attractions. The well-known Keeneland Race Course offers visitors a day of fun activities watching races, touring the stables, and relishing the company of local horse lovers. You can see the excitement on many faces as they wait for the next race. During the biannual meets in April and October, thousands of people come dressed to impress and looking forward to a fun afternoon. Admission can cost as little as $5, so this is a date activity that won’t break the bank — which makes it popular among university students. Throughout the year, many farms and horse ranches open their doors to the public and invite people to look at the healthy horses in the field. Just down the road from Keeneland, Mill Ridge Farm shows off its thoroughbred racing champions and gives visitors a thorough history and background of the family-owned land in a public horse tour. You and your date can feed carrots to foals, mares, and studs at Mill Ridge Farm. Whether you want to check out the studs or fawn over a foal, you can book a low-key horse tour at one of Lexington’s many upstanding farms by using Horse Country’s simple search tools. Simply type in a location name and set a range of dates, or you can search by category (stallion, nursery, feed mill, etc.) to find a great opportunity to roam the countryside with someone special. Horse Country has recently expanded its selections to include a visit to the local horse clinic. Curious couples can book a visit to witness surgeries, live births, and other veterinary services. To start with, we have to talk about bourbon. Lexington is famous for its barrel-aged spirits and boasts nine world-famous bourbon distilleries within 35 minutes of the downtown area (aka the bourbon lover’s playground). The Buffalo Trace Distillery is particularly fun for daters because it offers over 3,000 experimental bourbons and a tour of its award-winning facilities. Tours leave every hour on the hour, so you can come any time, grab a drink, and get a behind-the-scenes look at the work that goes into every tasty sip. The Crank and Boom puts a modern spin on classic ice cream treats. Lexington’s Distillery District is quickly becoming a local hot spot of entertainment and eateries. Couples can easily spend an entire evening dining and drinking here. You can read more about the distilleries here. In the district, we recommend getting dinner at the Middle Fork Kitchen Bar where couples can split small plates of house-curated cheeses or poached eggs. 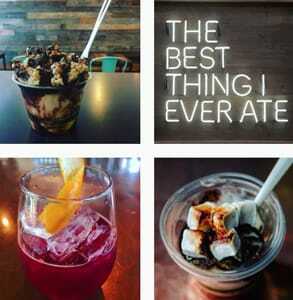 Then you can walk over to the Crank and Boom Ice Cream Lounge, which serves homemade craft ice cream. You can mix and match up to four signature flavors, and choose to make it a Spiked Scoop — which means adding in a shot of bourbon, amaretto, rum, tequila, cherry liqueur, or other spirits. Plus, the Crank and Boom’s mouth-watering homemade toppings include strawberry sauce, marshmallows, whipped cream, and bacon! As the largest public college in the state, the University of Kentucky adds a fair amount of culture and entertainment to Lexington — and singles are always using campus activities to fuel fun and romance. The University of Kentucky Art Museum is open to the public from Tuesday through Sunday. The galleries feature over 4,800 art pieces, including paintings, sculptures, drawings, photographs, and prints — and, best of all, admission is free. Museums are ideal for daters who want to stimulate conversation and go outside the normal dinner-and-movie routine. The Lexington Opera House is another great place to up your dating game. You can take in a show together and share a unique cultural experience for an affordable price. 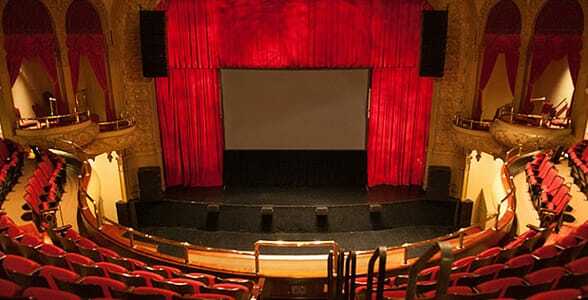 Audiences rave over the featured performances, which showcase the talents of country music icons, illusionists, ballet companies, and off-Broadway performers. On your next hot date, why not get tickets for a performance at the Lexington Opera House? On the third Friday of every other month, Lexington’s downtown area comes alive with artistic exhibits during an event known as the LexArts HOP. From 5 p.m. to 8 p.m., thousands of art lovers walk from gallery to gallery to view new art pieces. Over 40 participating locations, including many restaurants and bars, offer free admission and happy-hour prices. The next LexArts HOP event will take place on March 16. Once you figure out what your loved one likes, you can score major points by planning dates around his or her interests or hobbies. For instance, all it takes to make my dad happy is for my mom to offer to watch “WoodSongs” together. He loves sharing his passion for music with his family and friends, and he jumps on any opportunity to harmonize with my mom. 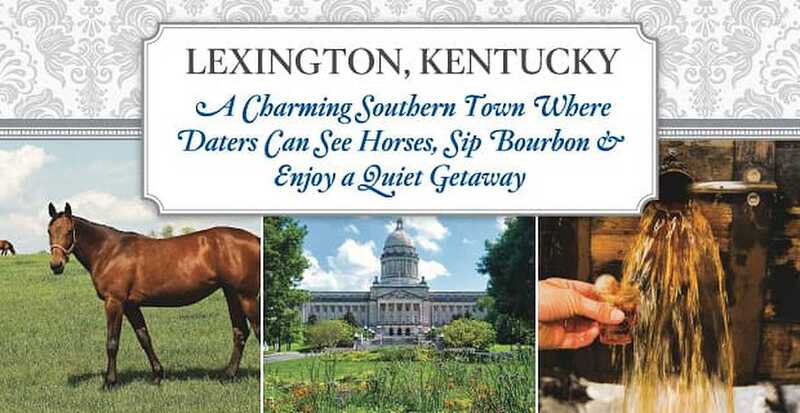 Whether you prefer eating farm fresh meals, petting horses, or listening to grassroots music, you can delight your senses on a tour of Lexington’s restaurants, farms, stables, or concert halls. No matter where you go, it’s easy to find romance here.